Coconut oil is an all natural beauty miracle for beauty and health. Applied topically or ingested, there are literally dozens of different benefits coconut oil provides. I have been using coconut oil for my hair since two years now and it made my hair thick, manageable, shiny and it also helped in hair growth. But coloring hair and treating them with harsh chemicals can make them dry and damaged. So, if you want a little change in your hair color you can go for natural hair coloring treatment which is 100% safe and effective. If you want a particular color and you have to use synthetic hair dyes/colors then you can follow these steps. This step is really very important to save your hair from getting to much damaged after coloring. Layer your hair with 100% pure coconut oil the night before you plan to color your hair. The science behind it says that coconut oil is a natural chelating agent which chelates the damaging iron and copper produced by the chemical reaction which happens when you use peroxide (Bleach) on your hair. Also apply the coconut oil to colored hair because Coconut oil leaves bleached hair feeling super soft and much more healthy looking. 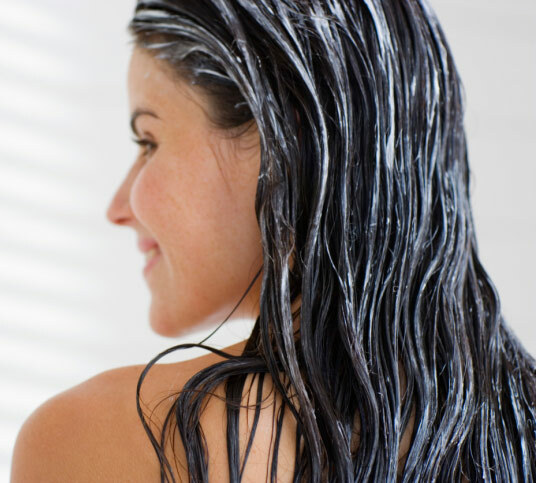 Using coconut oil regularly on bleached hair can help hair that feels softer and healthier. To remove the dye/ color always use the mild shampoo probably with no SLS and parabens. It would help hair restore the moisture without making them dry. Deep conditioning is very important after you have removed the dye/color from your hair. Dye ultimately makes your hair dry and damaged and deep conditioning would help to make hair soft and manageable. Deep conditioning would eliminate the dryness up to 60%. So, try these tips girls and enjoy your healthy colored hair. great info, i hv a question do u think its ok to dye oily hair?i mean kya dye ka colour ka effect nhy hoga?